I got this idea from Pinterest last fall. I saw it posted a couple times and decided it would be an awesome appetizer at Christmas dinner last year. It was both pretty and delicious! 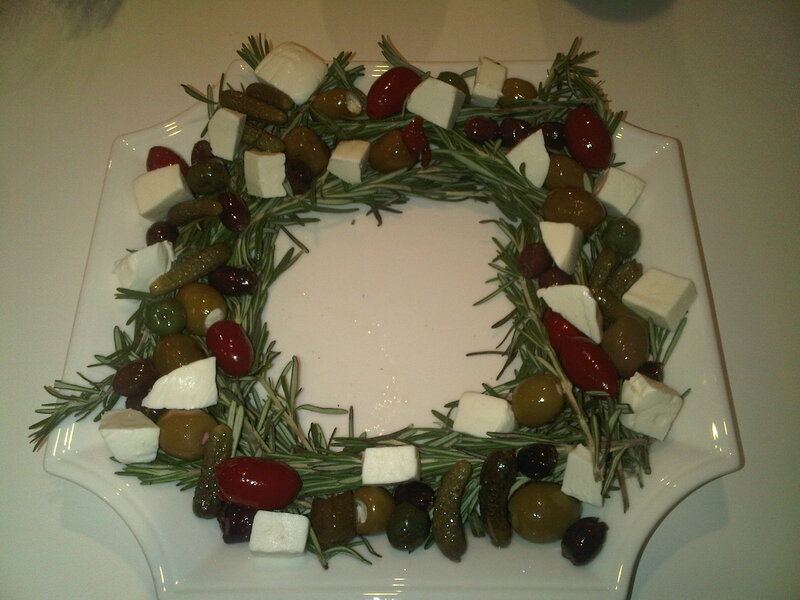 This would make a great and artful appetizer to bring to someone’s house over the holidays if you have such occasion. Voila! It will smell wondrous, too.